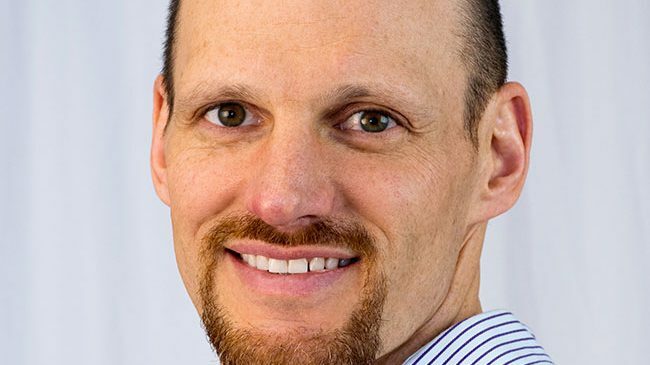 Meet Eric Ellingson, a co-owner of BE Fit Physical Therapy! Learn more about one of our co-owners, Eric Ellingson! You can also check out more on his “about me” section here. Eric, how did you become interested in physical therapy? I have always been fascinated with how the human body works and what it is capable of. From seeing what I was (and was not!) capable of as an athlete, to seeing the depth of wonders available from studying biology through school, that interest and passion continued to grow. That led me to get a degree in molecular biology at Swarthmore College in Pennsylvania and start my career as a lab research assistant at the Dana Farber Cancer Institute in Boston. I found the cell cycle work that I did there interesting, but lacked long term satisfaction, feeling that my work was not having enough of a direct effect on people. I had my first significant injury then as well, necessitating an ACL replacement in my knee. While being an orthopedic surgeon had been on my list of next choices, it was the the relationship that I had with my physical therapist at that time that convinced me of my new career path. The PT was the person who helped me deal with the psychological and physical impact of my injury and to really get my back to what I wanted to be doing. I spent the next three years at the Massachusetts General Hospital’s Institute for Health Professionals, one of the country’s top PT schools. I was hooked. Where have you worked within the physical therapy field? My first few years as a physical therapist were spent in the Boston area working at Mass General and other big hospitals seeing a wide variety of diagnoses. I then settled into a private practice, POST PT, which was in the same space as Pro Sports Orthopedics surgical group. I was lucky to work directly with many athletes of all levels there, and to be working directly with the surgeons to maximize their patient care. Where are you originally from, Eric? Having grown up in Montpelier, Vermont, the mountains were calling to me and I knew Boston would not be my long term home. I was lucky enough to meet my bride while living in Boston, and she was from the Upper Valley. We happily moved back to the sticks in 2005 and have been living in Plainfield since 2006. How did you come to start BE Fit? In 2009, I started BE Fit Physical Therapy with David Barlow and Kylie Young, with the goal of helping people maintain an active lifestyle through the benefits of physical therapy, at a clinic that would be comfortable for staff and patients alike. 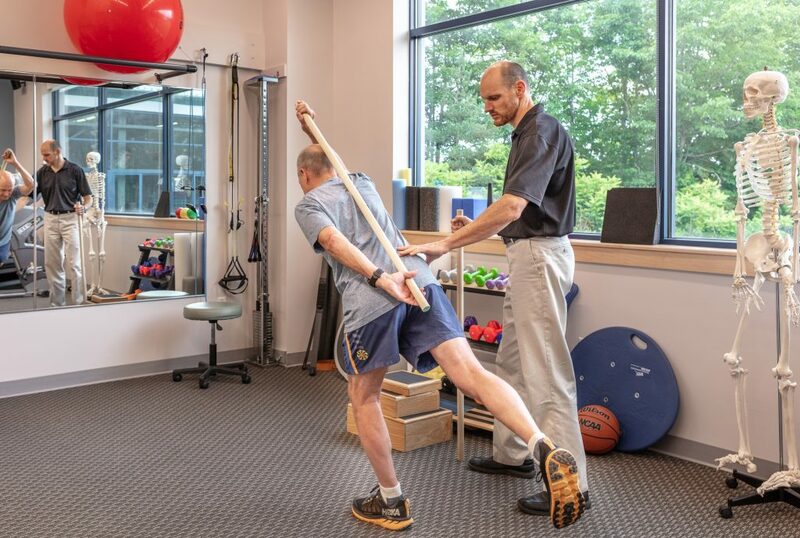 Having worked at a variety of clinics in Boston and New Hampshire, I had seen the good and bad of different clinics, /and was excited to bring a personal touch and enthusiasm to PT, making the whole experience of injury recovery as streamlined and enjoyable as possible. We hope you agree that the vision has come true! What patient populations do you enjoy treating? My physical therapy interests are wide as my patient population demands. I am most excited by seeing my patients get back to doing the things they love. I continue to be inspired by them – be it the enthusiasm of a middle schooler for their sport, the drive of a collegiate athlete, the olympic aspirations and trials of a young professional athlete, the perseverance of someone facing their 3rd, 4th or 5th surgery, the continued success of the middle-aged athlete, or the continued fitness into later decades shown by so many here. I am constantly humbled by the trials that people face and the energy they have in overcoming them, and I’m excited to be able to participate in that journey, helping however I can through my knowledge and support. I have pursued continuing education courses on a wide variety of topics, and consider myself a generalist, treating all body regions and diagnoses. Particular areas of focus have included post-operative recovery, foot/ankle injuries and orthotic management, TMJ-related pain, and sport-related knee injuries. When I’m not at the clinic, I have a variety of athletic and family pursuits to keep me healthy and happy. My kids are now 14 (Samuel) and 11 (Nina), and watching them grow up has been a privilege. I was lucky enough as a business owner to schedule two days a week at home with them throughout their younger years, only recently returning to a 5 day per week work schedule. We enjoy biking, hiking, and karate classes together, family travel, and plenty of quality family time at home. I am an avid road and mountain biker, hiker/backpacker, and have enjoyed coming into trail and road running in my middle age as well. Basketball continues to be my competitive outlet, but rugby and lacrosse (other than coaching) have fallen by the wayside. Snowboarding, nordic skiing, and ice climbing round out the long winters. I love seeing what my body can do, and have had plenty of opportunities for rehab of my own injuries when my body cannot do what I want it to as well. BE Fit has been a wonderful adventure over the past( nearly) ten years. I thank those of you who have chosen to share it with me and look forward to meeting those of you who may need us in the future!